This past month my husband and I were excited that we were finally ready to move out of our townhouse and into a bigger home to accommodate our growing family. Our credit scores were up, the finances were in great shape, but what we didn’t count on was the fact that running your own business can make buying a home much more difficult. When we got the “you’ll have to wait one more year” news from our mortgage lender I pulled up my bootstraps and decided that if we were going to be townhouse living for another year, we were going to simplify and organize and make living here much more “breathable”! 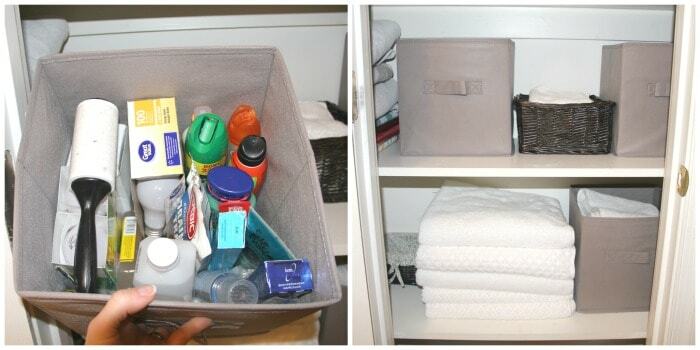 I’ve only just begun to organize and de-clutter our house, but all I can say is that I wish I had done this sooner! 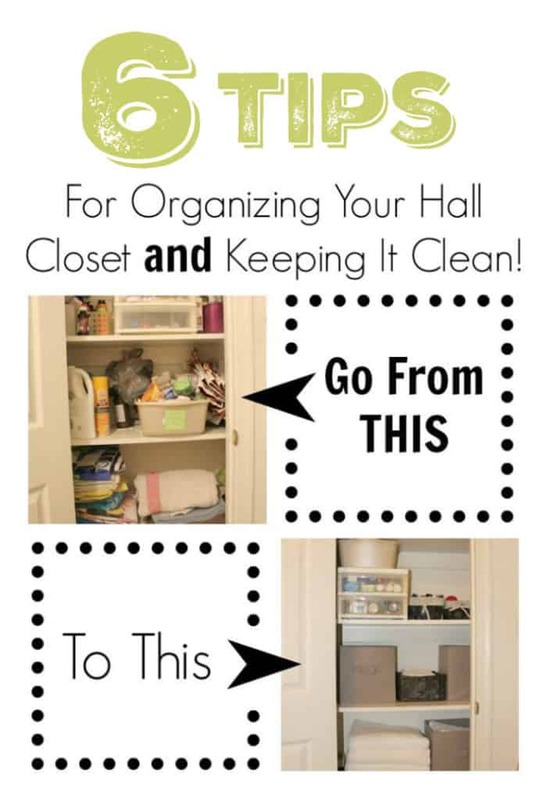 Here’s 6 tips I learned along the way, for organizing a hall closet and keeping it that way! Profound, I know, but you would be surprised how many broken, old, and useless items you’ll find hiding out in your hall closet. Hall closets can easily become a “catch all”. If you let your closet go for any length of time you’re bound to have some build up. I can be somewhat of a sentimental person, but as I’ve gotten older and my house and family have collected more things, I’ve found it easier and easier to throw things away. In fact, there’s really no feeling like the feeling of walking out of a room with an entire garbage bag full of stuff that will no longer be sitting in my house. If you have items in your closet that you haven’t used in a while (I found an old air mattress pump) take the time to make sure it still works properly. If it doesn’t – into the garbage with it! I utilized a small two-drawer storage container that I already had to house my hair/nail/body supplies and my first aide supplies. After I threw out old medicines, old lotions, etc. I found that not only did it look more organized but that it was easier for me to find what I needed when I needed it. I found my white towels on sale at Walmart for 2.50 each! Now I know I”m probably gonnna get some arguments on this from some of you but every time I look at this picture I cry with sheer joy that my closet is now full of white towels! It’s like a breath of fresh, clean air every time I open the door! Back to the throwing away. Towels that had holes, or loose threading, obvious stains went in the garbage. Some where along the way, towels we use in the summer for the pool had also got mixed into the bunch and so I pulled those out and rolled them up neatly into a storage container that fit just under the bottom shelf on the floor of the closet. My kids are at the age (with the exception of my youngest Levi) where that need to have their favorite hooded towel has come and gone. I bid those farewell too. That left me with a hodgepodge of colors making the closet itself look messy and unkempt. I rolled up Levi’s favorite character towel, and a couple of my old ones to use for “towel emergencies” and bathing the dog and made the switch to white. We also didn’t need twenty some towels in the closet (I had a whole load of them in the washer when I took the picture above). In a house with 6 people and so many towels it became easy for us all to use it once or twice and throw it in the hamper and just go grab another. Now we have 12 white towels total which means I’m washing towels half as much as I was before and when I do wash them,I can throw them all in the same load together, add some bleach and fabric softener and they come out looking just as white and bright as the day I bought them. There’s a reason why they always have white towels at hotels – bleach baby! Because everyone in the house knows there’s not an endless supply, towels amazing are finding themselves hanging up to dry instead of being thrown on the floor. It wasn’t long after I began my organization that I found myself waist deep in household bedding. To be honest, I have no idea where half of it even came from but there it was trying to guilt me into thinking of reasons to keep it all around. In the end I realized, when I have my kids strip their beds to wash their sheets, pillowcases, and blankets, I don’t immediately make the bed again with extra sheets. I wash and dry their original bedding and help them make their beds again. There was just no reason to keep so much extra! In the end, I decided to keep just a couple extra sets. A couple to have in the event guests or family were visiting and spending the night, and a couple for flu season (if you get my drift). All of the rest of the bedding went to (you guessed it!) the garbage. Of the extra bedding that I did choose to keep, I folded up the fitted and flat sheets and put them inside of the pillow case for that particular set. This made sense for so many reasons and I’m still not sure why I hadn’t been doing this all along either! No more fumbling and searching for a matching set. Each pillow case contains everything you need for fresh linens. 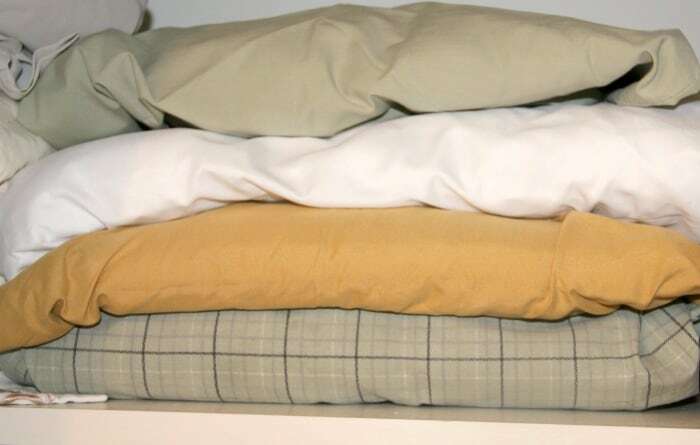 No more wrestling with those fitted sheets trying to fold them – their inside the pillow case now – they can’t taunt you anymore! When it came to the rest of the random supplies that I keep in our hall closet, they all went into some tall, deep, storage bins. Some people suggest clear bins so you can see what’s inside them, I pretty much know what is in all of them because I use this closet every day, but if you need to know, labels are always an option. I found that using non-clear storage bins took away that cluttered look which is really what I was going for. I found these bins at my local Walmart for a pretty good deal at $3.29 a piece. Along with keeping my additional supplies in them, I also got one for my cleaning and dusting rags, one for my hand towels (white ones btw), and one to hold those rolled up older towels I told you I was keeping. I had a couple of darker wooden baskets around the house so I opted to use these for my washcloths (also white), one for my sewing supplies, and a larger one to hold my nail polish. Using the solid-colored storage bins, deep enough to hold items without them spilling out of the top, keeps my closet looking clean, even if the bins themselves don’t say totally organized. 6. Make The Closet Accessible For Everyone! You might spend hours cleaning and organizing your closet but it does you no good unless you can keep it that way! I’m here to tell you all of the tips I gave you above have worked wonders in my house of six (which includes 4 kids under 14)! I organized my closet weeks ago and it looks the same as it did on day one! Aside from tips #1 thru #5, one of the biggest tools I implemented was a small stool kept underneath the bottom of the shelf. If you don’t have floor space, you might be able to find room on one of your shelves. Be strategic where you place your items. 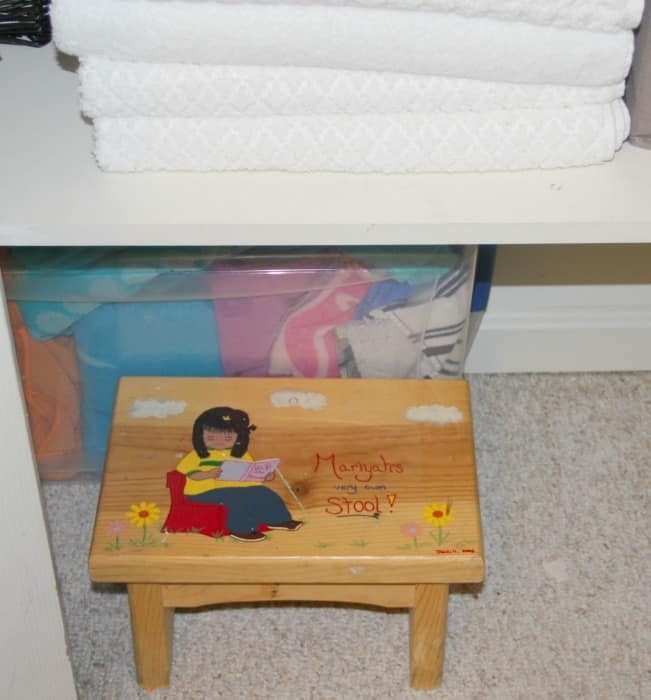 Towels, wash clothes, dusting clothes can go on lower shelves where younger kids can reach. Nail polish and cleaning supplies can go on a shelf where older kids and adults can reach. Medicines can go on top shelves for adults to reach. Utilizing bins for just about everything means everything has a place. Instead of just getting thrown on a shelf, things get put back into the bin they came out. Making the closet and everything in it accessible for everyone means everyone can play a part in keeping it clean – not just “Mom”. I still wish the answer to needing more space would have simply been moving into a bigger house, but on the bright side, sticking it out in our current humble home has given me a lot more incentive to down-size on things we don’t necessarily need and to just live a little more simply. I’m planning on going through my house room-by-room this year and when it’s all said and done, this whole process will actually make moving (when the time comes next year) a whole lot easier! I know I’m going to appreciate this little bit of extra time I have to organize and I’m extremely happy with my first project – our hall closet! Hi! 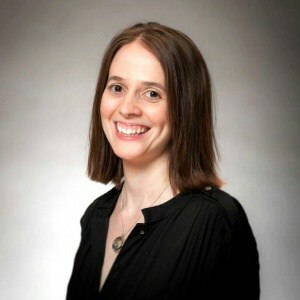 I'm a wife, a Mom to 4 amazing children, Associate Pastor, and budding blogger. I enjoy finding ways to celebrate life and family every day and especially love to cook, and visit new and familiar places with family and friends. I need ot get some of the fabric bins from Dollar Tree. I do have some sheets that need to go, though I like the idea of donating them rather than throwing them away.